Get Essential Gardening Tips on March 2nd at Garden Discovery Day! 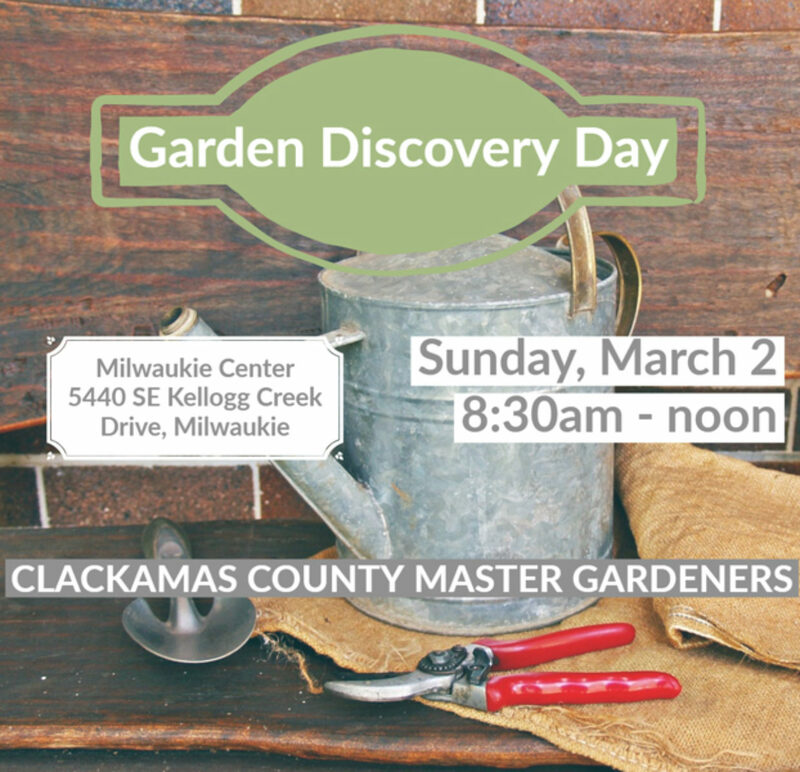 Join OSU Master Gardeners™ for essential gardening tips at Garden Discovery Day, March 2, 8:30 am to noon, at the Milwaukie Center, 5440 SE Kellogg Creek Drive, Milwaukie. This fun event covers a wide range of topics through classes, demonstrations, educational displays, and soil pH testing service. In one morning, you will gain all you need to know to jump start the 2019 growing season. This free event covers a wide range of topics through 10-Minute University™ classes, demonstrations, educational displays, and soil pH testing service. Throughout the morning, a clinic staffed by veteran Master Gardeners will offer one-on-one advice on any and all gardening questions. Bring plant specimens and/or photos that best illustrate the problem and put our ace diagnosticians to work. Visit www.cmastergardeners.org for complete event schedule.